The UK’s oldest children’s book awards have long celebrated the very best in writing and illustration for children, and this year’s shortlists for the CILIP Carnegie & Kate Greenaway Medals are no exception. With 11 out of the 16 books on the two shortlists being written or illustrated by women, and around half of them featuring female protagonists, many of the stories centre on issues of child safety, helping children deal with controlling behaviour, and promoting their freedom of expression. ALCS is proud to once again sponsor the Carnegie and Kate Greenaway Medal Awards, and is delighted to launch its annual ALCS CKG Writing Competition in conjunction with this year’s shortlist announcement. Now that the shortlists have been announced, over 4,500 reading groups in schools across the country are embarking on the Medals’ Shadowing Scheme, through which children and young people read and debate the shortlisted books between now and the announcement of the winners in June 2019. ALCS has supported the shadowing scheme for over 10 years, and launched this year’s ALCS CKG Writing Competition on the day this year’s shortlists were announced. Read more about how to get involved with this year’s competition here. CILIP’s recent Diversity Review helped it identify more ways to help get young people involved in the Medals through the shadowing scheme. As a result, this year the Shadowers’ Choice Award will be announced alongside the two Medal winners. This new award will be voted for and awarded by the children and young people who shadow the Medals; giving them more of a voice in the awards process. 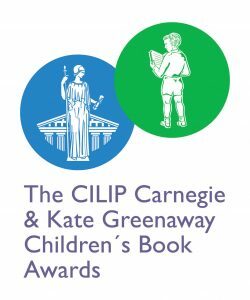 The winners of the CILIP Carnegie and Kate Greenaway Medals 2019 will be announced in June at the British Library. The winners each receive a specially commissioned gold medal. The winner of the Kate Greenaway Medal also receives £500 worth of books to donate to a library of their choice, along with the £5,000 Colin Mears Award.